Kim A Wagner’s ‘Jallianwala Bagh’ revisits the making of the massacre that took place 100 years ago in 1919. “You know, Ghulam Ali, don’t you, how this well was once filled to its mouth with the bodies of people slain in the firing? Today everybody drinks from it. It has watered every flower in this park. People come and pluck those flowers. But strangely, not even a drop carries the salty taste of blood. Not a single petal of a single flower has the redness of blood in it. Why is that? The barren ground of Jallianwala Bagh soon became an item on the tourist itinerary, providing a stark contrast to the splendour of the Golden Temple nearby. William Marris, Joint Secretary to Government of India, was more amenable to the idea of compensation but, like Gwynne, wary that it might backfire: “We do not want to be accused of buying silence with blood money.” The payment of compensation was nevertheless approved and a committee established under A Langley of the Indian Civil Service to evaluate claims and distribute the funds during the course of 1921 and 1922. Following much wrangling between the Punjab Government and Government of India over who was going to foot the bill, more than 2 million rupees were paid in compensation to those who were wounded or the relatives of those who were killed during the unrest in Punjab. The relatives of those killed at Jallianwala Bagh received, on average, Rs 8,700, which may be compared to the Rs 135,000 awarded to the widow of GM Thomson of the Alliance Bank. None of these sums, however, compared to the money received by Dyer from the Morning Post collection. When the new Viceroy, Lord Reading, took the remarkable step of visiting Jallianwala Bagh on the anniversary of the massacre in 1921, the first British official to do so, he was met with complaints about the disparity of compensation awarded to Indians and Europeans. Reading promised to look into the matter, but nothing ever came of this. Today, at the Jallianwala Bagh memorial, the traces of the original event have all but vanished. What remains is heavily circumscribed by a post-Independence narrative, which celebrates the sacrifice and contribution of nationalist leaders and revolutionaries. The pillars of the portico at the entrance supposedly symbolise Dyer’s soldiers while the small fountain in the middle represents the historically non-existent machine gun. Apart from the central pylon, representing the “Flame of Liberty”, a large structure has been built around the so-called “Martyrs’ Well”, from which a sign now claims 120 bodies were recovered following the massacre. This story, which is not corroborated by the accounts of either Motilal or Jawaharlal Nehru, would seem to be a conflation with the infamous well at Cawnpore, where the bodies of European women and children had been left after the Bibighar massacre in 1857. In the nearby “Martyr’s Gallery”, the visitor’s gaze is focused on a large painting of the massacre, prominently displayed on the end-wall. The painting shows the interior of Jallianwala Bagh covered in dead bodies and the figures of fleeing people clinging to the surrounding walls. The painting originally depicted only a landscape of death and despair, though a row of amateurishly drawn Gurkhas troops has at some later point been added to the lower left corner. The depiction of the massacre is framed on both sides by a pantheon of nationalist heroes, some of whom were associated with the events at Amritsar, including Kitchlew and Satyapal, as well as Ratto and Bugga, but also the widow Ratan Devi, who remained by her husband’s body after the massacre. Others, like Madan Lal Dhingra, who assassinated a British official in London in 1909, appear to be included merely by virtue of hailing from Punjab. The real hero of the Jallianwala Bagh memorial, however, is the figure of Udham Singh, who, along with Bhagat Singh, is Punjab’s most celebrated freedom fighter. Following the assassination of O’Dwyer, Udham Singh was executed by the British, and was instantaneously accorded the status of a true patriotic martyr. It is said that Udham Singh had himself been present at Jallianwala Bagh and was wounded in the arm, although there is little evidence for this. 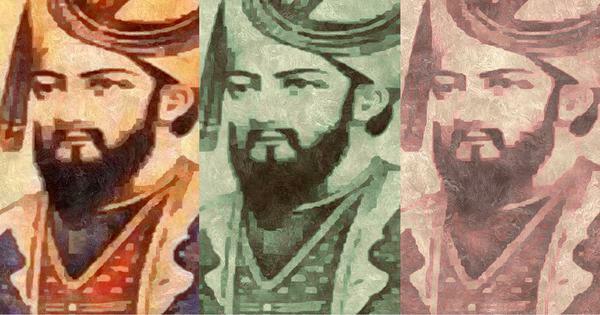 In the popular imagination, however, there is no question about his connection to the massacre, and some of Udham Singh’s ashes are even kept at the Jallianwala Bagh memorial. While none of the people who were actually killed on 13 April 1919 are commemorated in the “Martyr’s Gallery”, Udham Singh is represented by no less than two paintings. It is also his likeness, along with that of Bhagat Singh, that the hundreds of schoolchildren daily visiting the Bagh invariably make colourful drawings of, and, as if to banish any lingering doubts, a statue of Udham Singh was erected at the very entrance to Jallianwala Bagh in 2018. 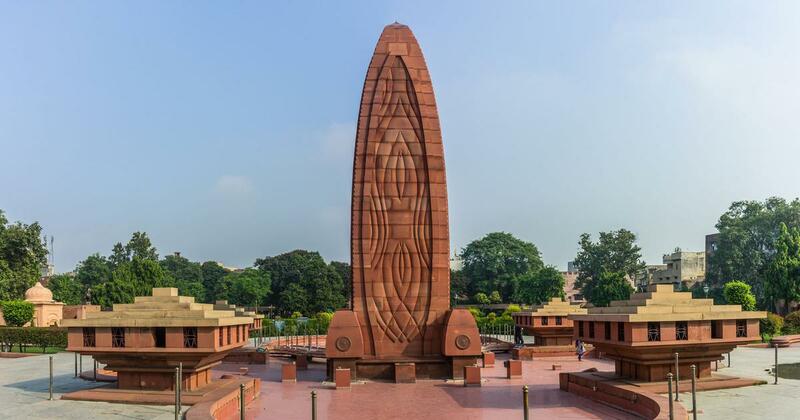 At the Jallianwala Bagh memorial, it is thus an entirely teleological narrative that has come to dominate – one in which the significance of the massacre is recognised only insofar as it served as inspiration for others. It is as the catalyst of the freedom struggle, which came to its fruition with Indian independence in 1947, that the Amritsar Massacre is commemorated and not as a historically meaningful event in its own right. The names of the 379 people known to have been killed are nowhere to be found and, a hundred years after Dyer walked down the narrow passage with his fifty troops, Jallianwala Bagh is no longer a place for mourning the dead, as Gandhi originally envisaged, but a celebration of a nationalist myth. The only original building within the Bagh, namely the small samadhi, or temple, with its bulbous dome and surrounding wall with archways, stands forlorn and out of place among the twentieth-century structures of the memorial. On the north-facing side of the samadhi, and in two other parts of the walls of the Bagh, there are still marks from the bullets fired by Dyer’s troops, some ninety-two in total. Were it not for the painted white squares framing the bullet-holes, however, they would be largely indistinguishable from the wear and tear of the brick-work itself. Prodded and probed by thousands of visitors over a hundred-year period, these historical scars have slowly but surely been worn away. As the last traces of the massacre are gradually erased, and its history steadily overwritten, all that will be left is a name. 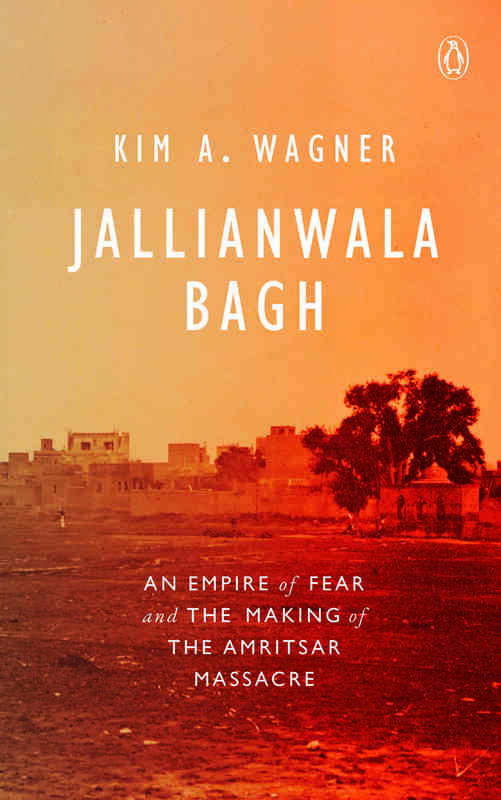 Excerpted with permission from Jallianwala Bagh: An Empire Of Fear And The Making Of The Amritsar Massacre, Kim A Wagner, Penguin Books.